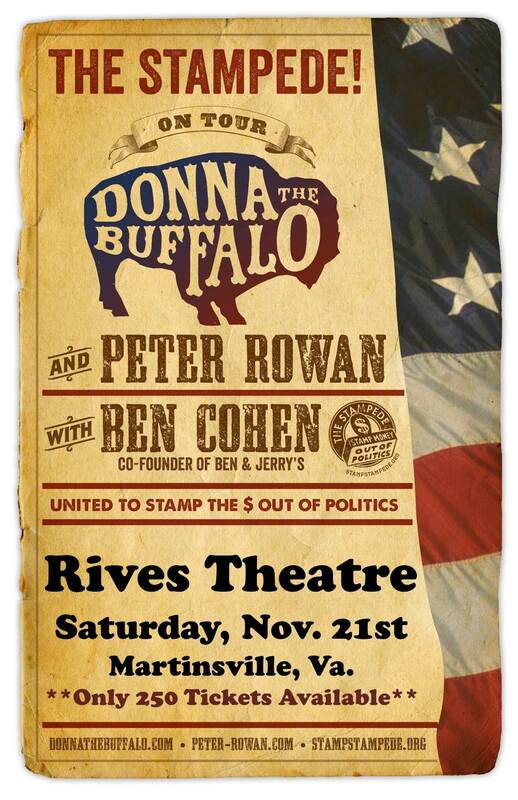 Donna the Buffalo w/ Peter Rowan on Nov. 21st at the Rives! Tickets are available online now at THIS LINK. They will be available by Friday (Aug. 14) at the Daily Grind in Uptown Martinsville. ← Tonight!!! Tickets available at the gate!